With its dull mixture of indifferently staged exposition and action, Unlocked suggests a primitive side-scrolling video game. Trying to prevent a biological attack on London, C.I.A. interrogator Alice Racine (Noomi Rapace) questions, fights, and escapes terrorist baddies ranging from Islamist militants to American turncoats to mid- and low-level couriers of various loyalties. The film quickly sinks into a tedious narrative pattern, following Alice as she corners someone and is subsequently cornered by someone else, leading to a jargon-rich palaver about who’s doing what to whom. The film is indistinguishable from dozens of other over-scored and over-edited VOD-ready international thrillers that have somehow attracted reputable actors. Terrified of courting our boredom, Unlocked pummels us with empty stimulation. When Alice tells a young man to leave an Eiffel Tower trinket alone, it’s obvious that something’s wrong, and the suspicion is confirmed when we see a picture of a Paris bridge bombing that establishes Alice’s personal stakes in the attack. But this isn’t enough handwringing for Unlocked, which proceeds to bring the picture to life, seguing to a shrill flashback to the attack that halts momentum and kills any sense of mystery. The film constantly revels in more for less, suggesting an episode of 24 that’s been drained of that show’s volcanic sense of violence. The audience is always several steps ahead of Unlocked’s plot, which is fatal for a narrative so dependent on switchbacks. 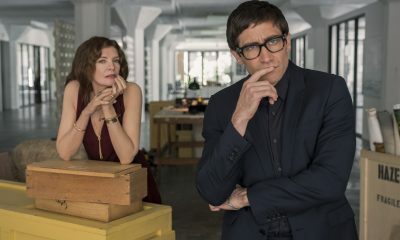 When a slumming celebrity appears, it’s obvious that he’s the villain because he’s built a portion of his career on playing amoral businessmen, and this film is nothing if not dependent on what we’ve seen and heard before. Yet that doesn’t stop Unlocked from spinning its wheels and waiting nearly 80 minutes to confirm this inevitability. 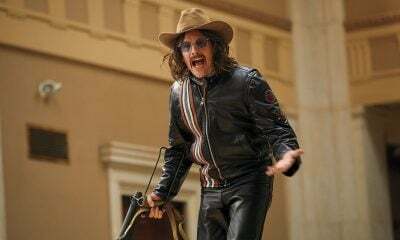 Orlando Bloom also pops up as a thief, and while he’s grown into a commanding actor over the years, his character undergoes several preordained reversals of identity that squander the simple pleasure of watching the actor parry suggestively with Rapace. These sorts of disappointments abound in Unlocked, including the wasting of Toni Collette and John Malkovich as, respectively, sassy superiors in MI5 and the C.I.A. 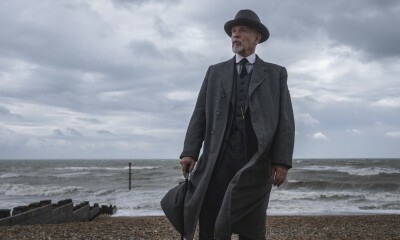 With the possible exception of his seven films in the Up series, director Michael Apted isn’t what one would call an auteur, but he’s often a competent journeyman who provides his actors with room to work. In Unlocked, however, the filmmaker’s humanism is clouded by cacophony.